1. Combine sugar, graham cracker crumbs directly in the bottom of a large spring form pan. Pour melted butter over the top and combine. When well combined press down evenly over the bottom of the pan. 2. Beat cream cheese until fluffy. Add in sweetened condensed milk and beat until smooth. Add in vanilla, eggs and melted chocolate chips and beat until well combined. 3. Pour into spring form pan (I usually have extra filling so I put it in a corning ware dish and bake it along with the cheesecake. 4. Bake for approximately 1 hour at 300º. Test with a toothpick in the center, if it comes out clean it is done. 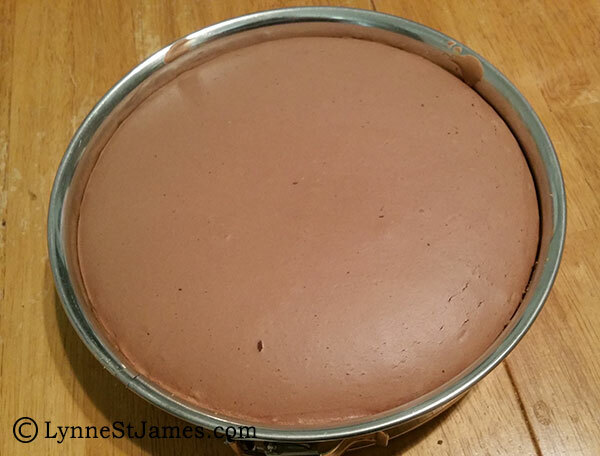 Turn oven off and let cheesecake cool inside for one hour, then cool another hour on the counter before putting in the refrigerator, this will keep the top from cracking.